40 silver gelatin prints: 36 approx. 5 x 7”, near fine, all stamped verso identifying two SS-PK photographers, [Bruno] Wisniewski and Ege, some with a “Sachregister” stamp and numbered pencil annotations verso; 3 smaller, approx. 3 x 4”, good; one 4 x 6” mounted to toned card, rubbed with a few scratches. 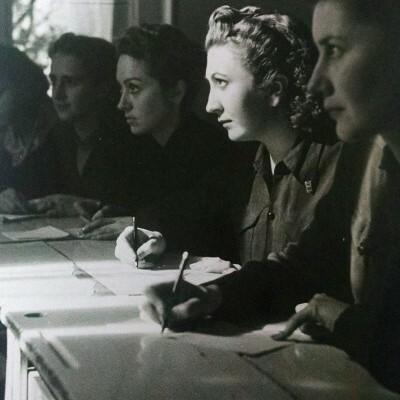 The Sección Femenina [SF] was officially recognized by General Franco following the end of the Spanish Civil War in 1939. 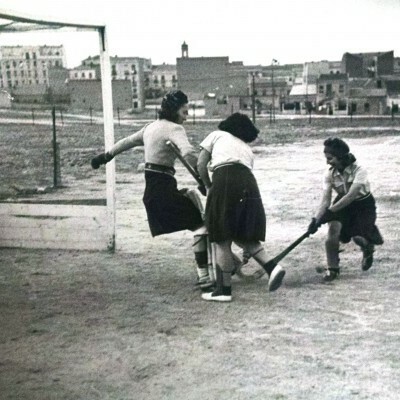 Its mandate was to organize and educate women to be full participants in the reconstruction of the nation according to Falangist/fascist principles. To this end the SF had to reconcile politically conservative and religious (Catholic) doctrine with the modern social realities of the 1940s. It found itself in the awkward position of arguing strongly for the higher education of women and girls while rejecting “feminist intellectualism”. 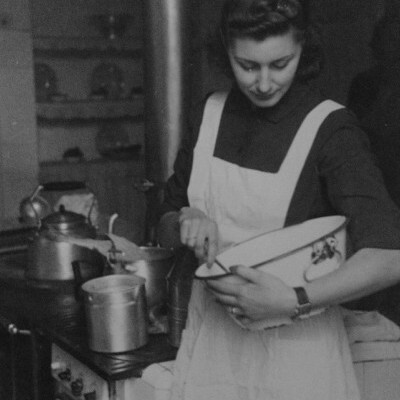 Similarly, it had to promote the ideal woman at home while providing a model for women whose membership in the workforce was an economic necessity. The model of ideal femininity central to this mission had to be flexible enough to contain these contradictions. 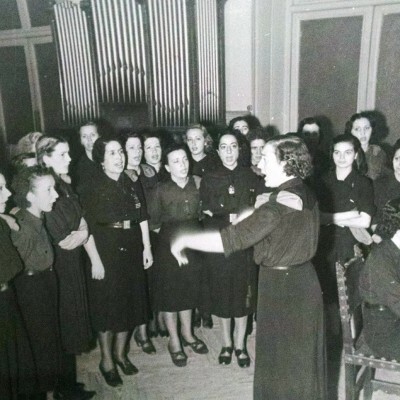 The photos in this collection exemplify this elastic image of womanhood, depicting SF leaders and members engaged in the wide variety of activities promoted by the organization. These include history and music classes, field hockey, cooking, sewing, childcare, and patriotic events. 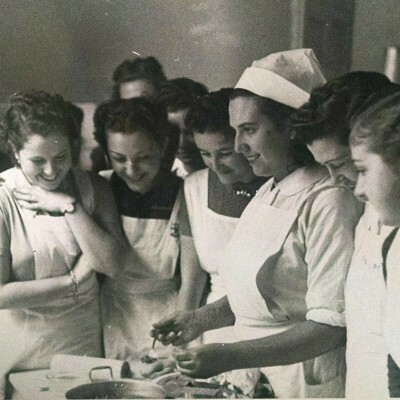 As a group they reflect the inherent ambivalence of the SF: an independent and powerful network of educated women that offered its members “an unusual level of public activism, both professionally and politically”, while preaching traditional ideology. 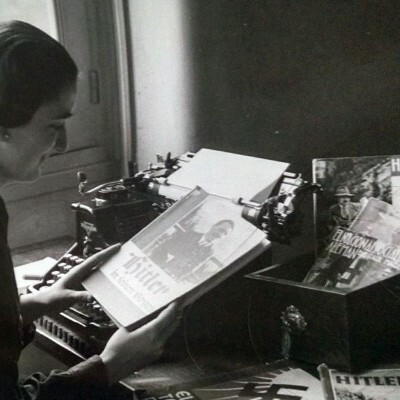 The Nazi Waffen-SS Propagandakopanien (SS-PK) was formed in 1938 to provide wartime propaganda to domestic German audiences. 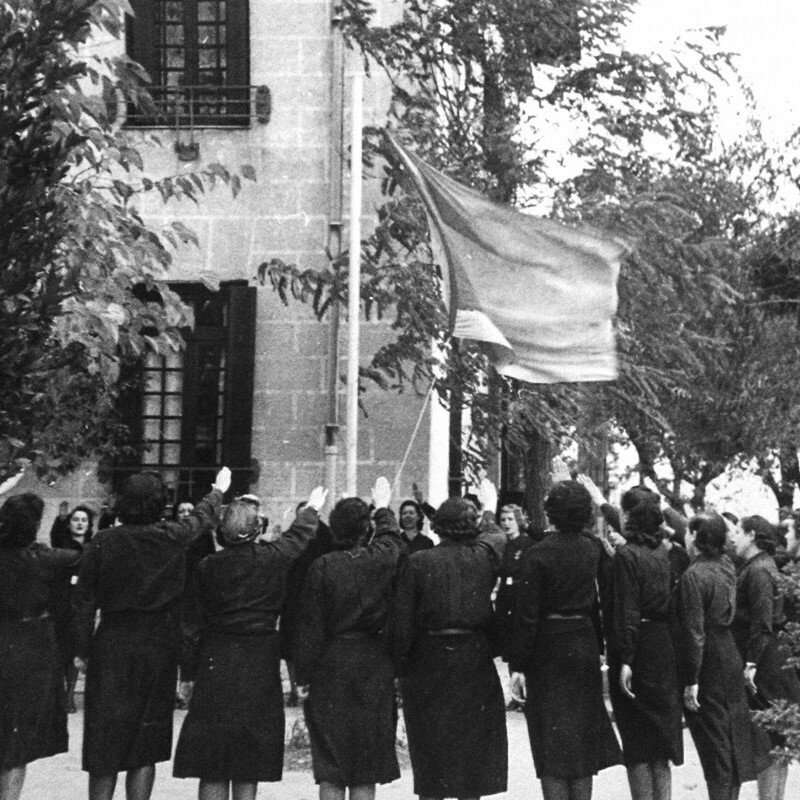 SS-PK photographers were embedded in armed divisions and diplomatic corps; these photos of the Sección Femenina were probably taken between October 1940 (when Hitler and Franco met in southern Spain) and late 1941, as relations between the two countries deteriorated when it became clear Spain would not officially enter the war. The names of the two photographers appear in other SS-PK records.